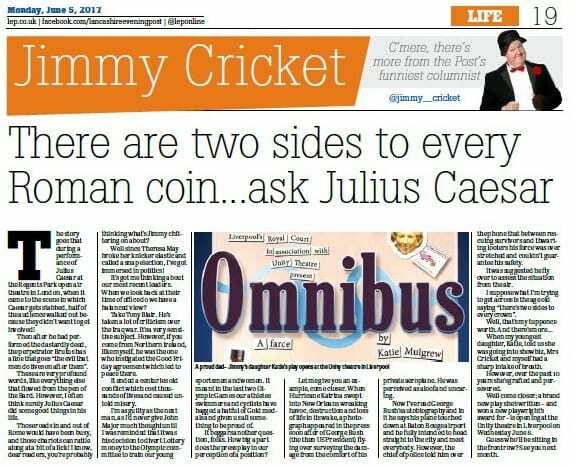 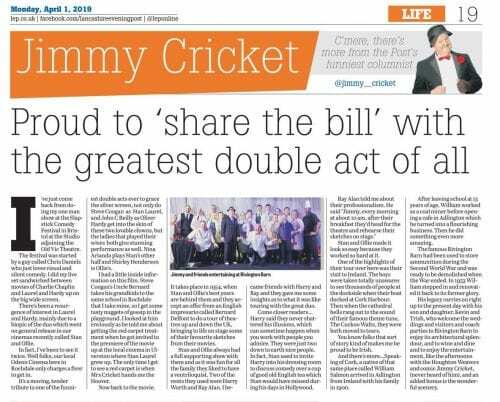 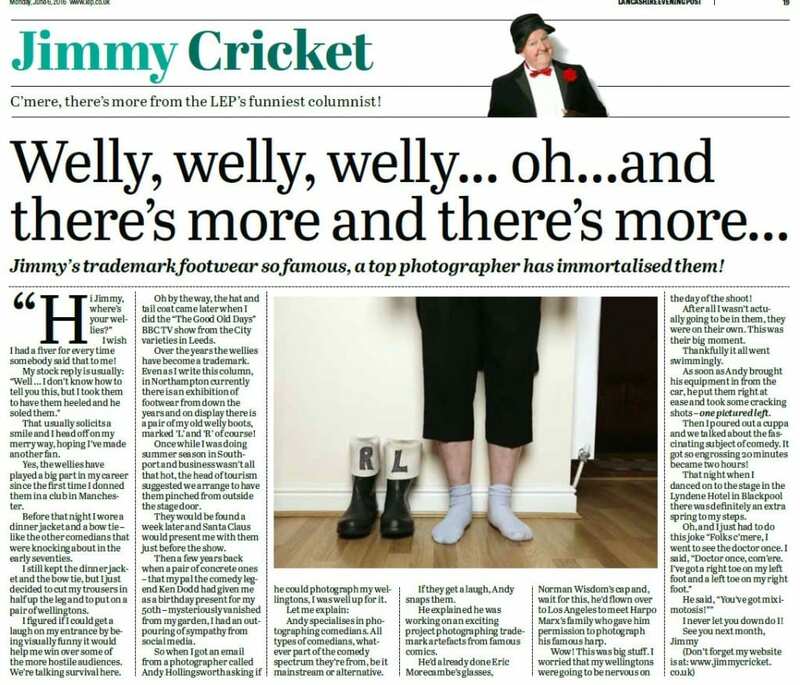 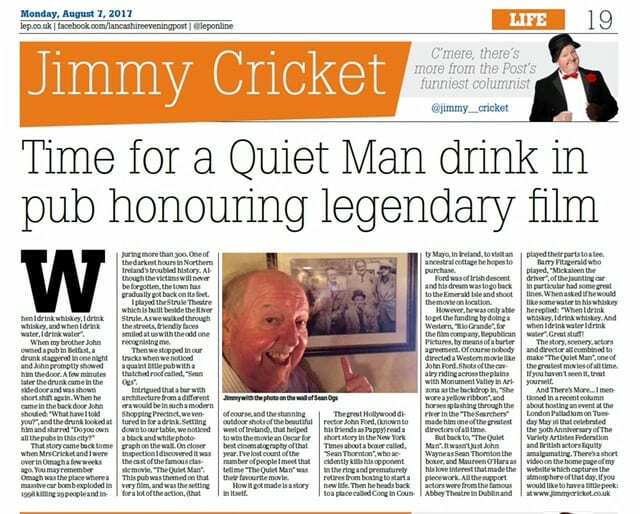 An optician who is about to realise her dream of performing stand-up comedy at the Blackpool Opera House is the subject of Jimmy Cricket’s latest newspaper column. 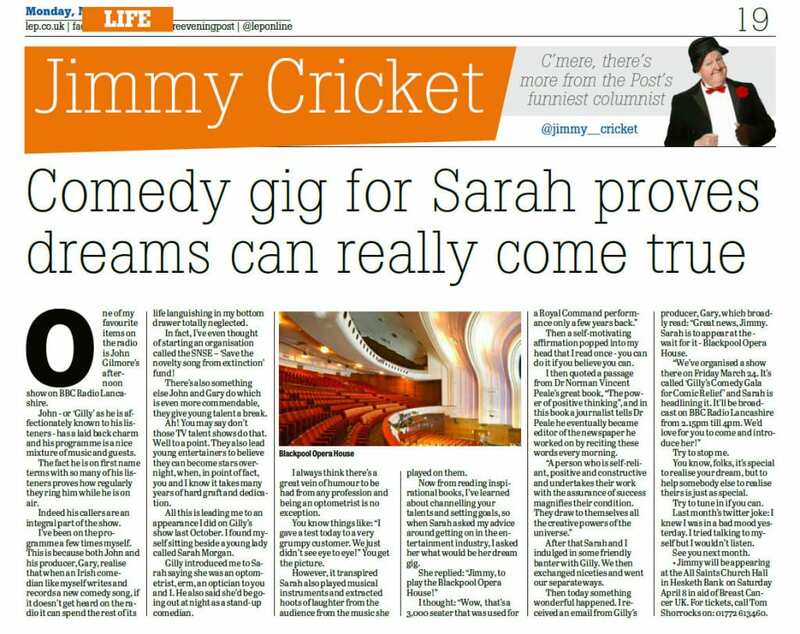 Famous entertainer Jimmy talks in the Lancashire Evening Post about Sarah Morgan – an optometrist by profession – whom he first met last October on a BBC Radio Lancashire show hosted by John Gillmore. “When Sarah asked my advice around getting on in the entertainment business, I asked her what would be her dream gig,” explains Jimmy, 71. 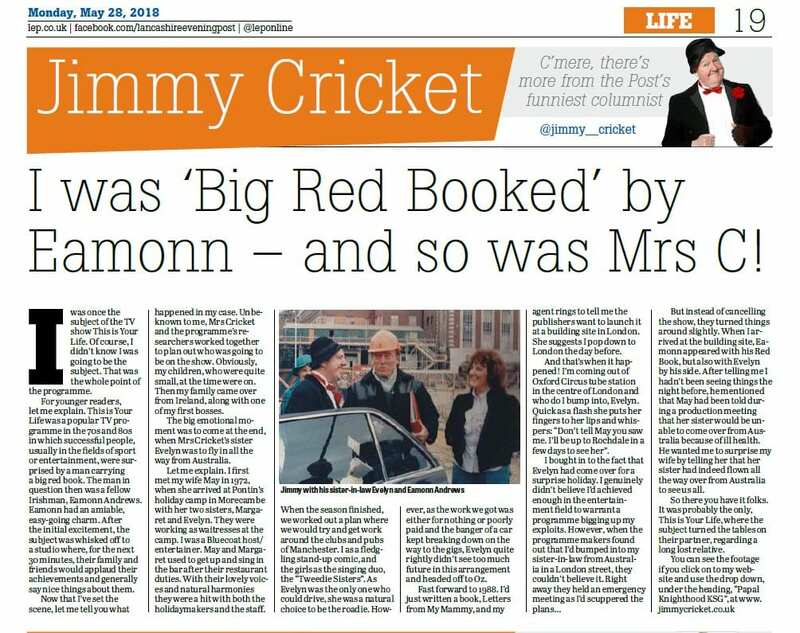 “Try to stop me,” says Jimmy. 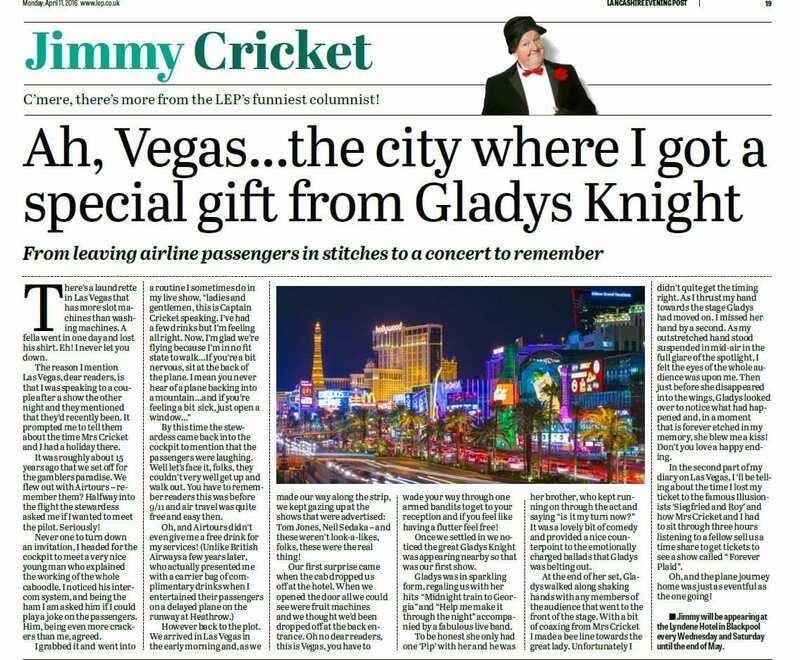 “You know, folks, it’s special to realise your dream, but to help somebody else to realise theirs is just as special.